It’s Fall!! It’s Fall!! 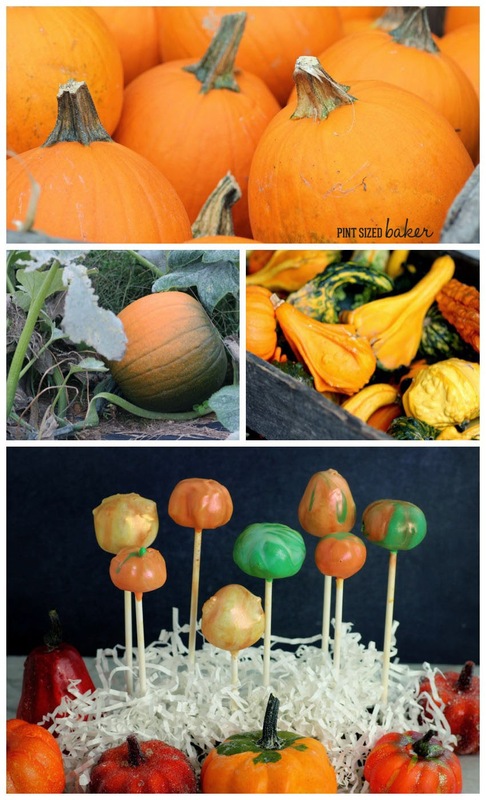 And Fall means lots of pumpkin, gourds, and squashes! 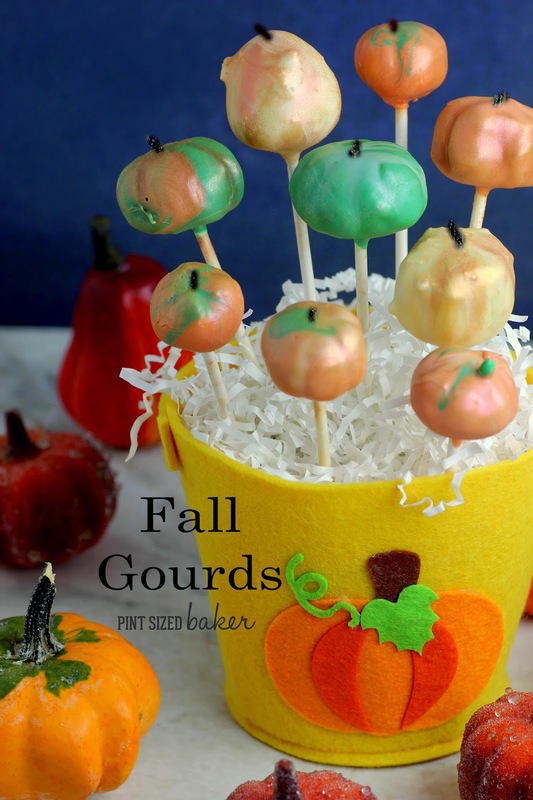 I dedicate this post to all of the misshapen, odd colored, strange textured, and made-fun-of gourds out there. I feel for ya. I can identify with ya. I think that your colors make you special and that your weird bumps and bruises give you character. When I head off to the farmers market or local pumpkin patch, I want to take all of the strange and unusual pumpkins home. I want to put them on center stage for everyone to look at and marvel over. They need a place of honor to show off how wonderfully different they were created. To make these all different, I played with white, two shades of orange and green. I didn’t want a tie dye effect, so I had to tap carefully so as not to have them swirl. To get the bumps in the ones above, I added some random sprinkles to a first dip, then redipped them. I love the effect. 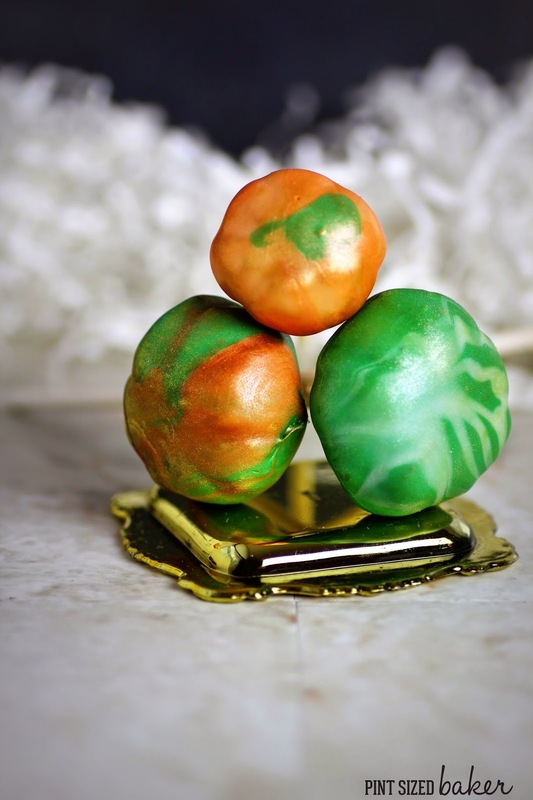 To add more color depth and dimension, I used Copper Luster Dust , Cantaloupe Luster Dust , and a bit of Buttercup Petal Dust and Light Green Luster Dust on the green ones. I loved the effect. The pops above were just white before I added the luster dust. Look at those colors! Amazing! Just like Mother Nature. The best part – this was super easy! Take a look at this tie dye tutorial, however, just add a touch of the second color and then tap straight up and down instead of turning the pop in a circle. 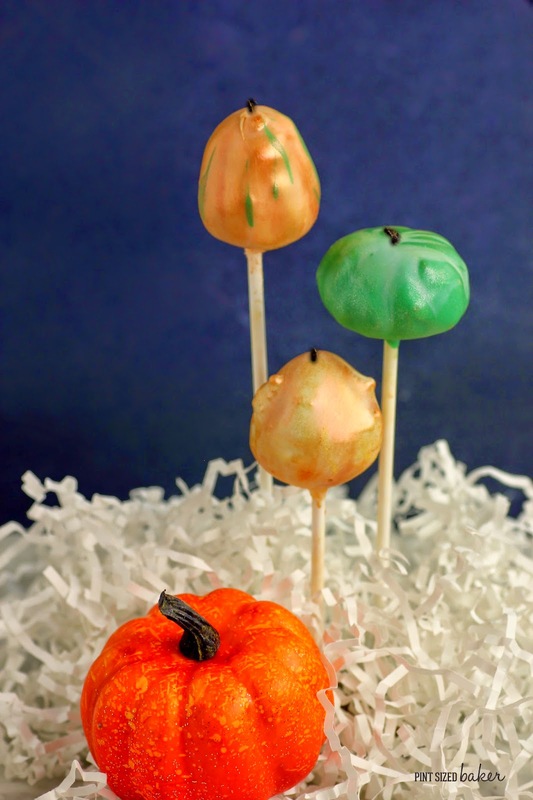 Once the cake pops are hard and dry, use a small, dry paint brush to “paint” on the colors. Add darker and lighter to create shadows and depth. 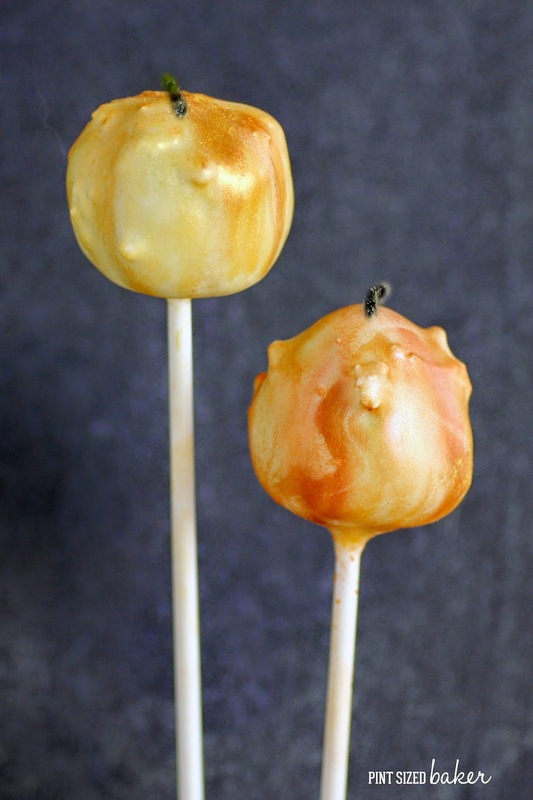 The copper luster dust really makes the orange pop and highlights the texture of the gourds. These are some photos from my last trip to the pumpkin patch. As I said, I just love all the colors, shapes, sizes, and textures that natures creates! It’s a wonderful thing!